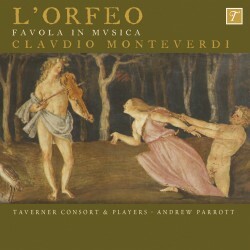 Andrew Parrott and the Taverner Consort & Players celebrate their 40th anniversary with a magnificent recording of the world’s first operatic masterpiece, Monteverdi’s L’Orfeo. 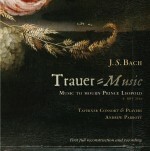 As can be expected from Andrew Parrott, who has been at the centre of the early and baroque music scene for over four decades, his meticulous research results in a performance and stylistic approach that brings a fresh perspective to the myth of love lost and found through the art of music. His scholarship, combined with the collaborative nature of the Taverners, translates into a performance brought to life by the finest singers and instrumentalists in the early music world, including tenor Charles Daniels who is the superb Orfeo. Befitting such an outstanding recording, the 2-CD set is luxuriously packaged with extensive notes and the complete libretto with English translations in a 52-page booklet.